There are layers of mythology around what architects actually do in conceptualising and making architecture. These misconceptions are fed by popular architectural stereotypes of 20th-century culture, such as Ayn Rand’s young individualistic protagonist Howard Roark in his 1943 novel The Fountainhead to the widely misquoted, utopian visions of Swiss architect Le Corbusier, to the famously difficult genius of American Frank Lloyd Wright. 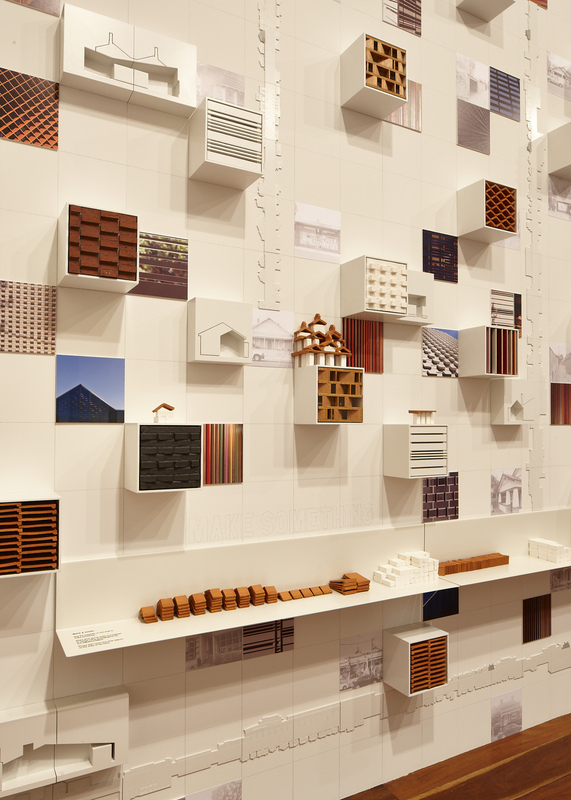 In Sampling The City, an exhibition I curated as part of Melbourne Now at the National Gallery of Victoria (NGV), the challenge was to convey the diversity of the design process: what architects do, the way they do it and why architectural thinking is useful to our collective communities. Within an Australian context, the architect is often considered as a luxury service, responding to a client’s demands to express wealth and influence. Beyond the bespoke residential market, the architect struggles to get past the rationalisations of the project home industry and contribute meaningfully to affordable housing. In the public realm the architect is often at the back of a public project such as a community centre, school or public pool, jostling for design quality within an ever increasing “value-add” mentality of key performance indicators and budget rationalisation. Now in the context of a four-part exhibit, one room of Sampling The City is dedicated to an “architectural incubator”; a studio environment that provides an insight into the process of six, young Melbourne practices at various stages of their career: Cassandra Complex, Muir Mendes, Studiobird, March Studio, Make Architecture and Studio Roland Snooks. Within this space, each practice has created a wall installation in response to one of five themes – architecture and representation, craftsmanship and materiality, stitching the city, art engaged practice or advanced architecture. The six installations comprise of a series of images, drawings, models and material compositions with the intent to provide an insight into the thinking behind a set of diverse architectural ideas and emerging positions. So let’s look at the process of three in more detail. For Make Architecture’s Melissa Bright, the exhibition provided an opportunity for the exploration of various built and unbuilt projects in their practice. 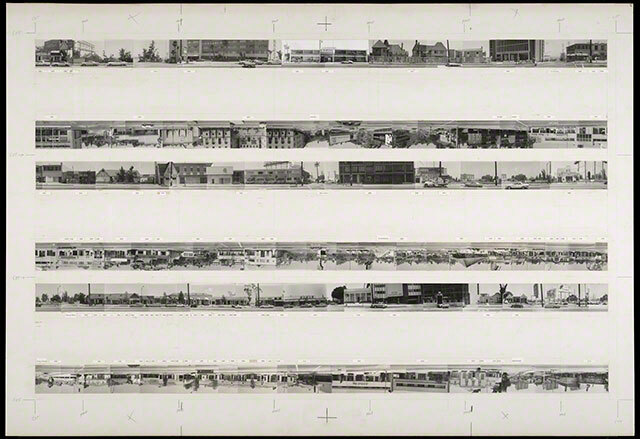 The architects were inspired by American artist Ed Ruscha’s famous photographic study of Every Building on the Sunset Strip (1966), and made a series of study marquettes (see below) to locate the projects within their urban and suburban context. When responding to a project, we start to zoom in and typically draw on the materials and details in the existing house to inform our design response. 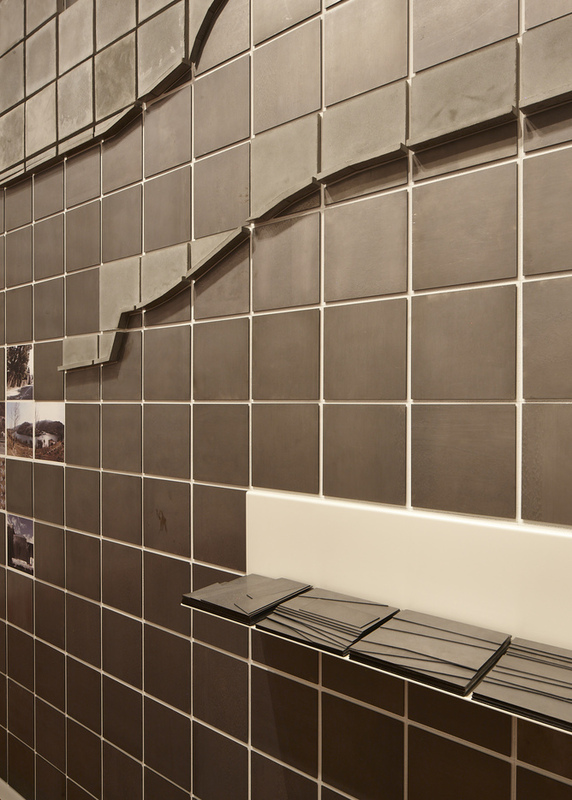 We search for ways to reinterpret and to respond to these materials in a contemporary way. For MAKE, inspiration comes from dealing with small-scale street identity and a commitment to livable suburbs that engender feelings of place and community. Matthew Bird’s practice, Studiobird, focuses on material explorations at the intersection of architecture and art practice, working alongside collaborators such as Melbourne contemporary dance studio BalletLab. For the Incubator room, Bird and BalletLab’s artistic director Phillip Adams conceived Future Wagon (2013) – a vision for a nomadic home of tomorrow. The project speculates upon our future inhabitants roaming street address and value of material décor: where will we live and what will our homes look like? The outcome is constructed from do-it-yourself materials and references stagecoaches of the Wild West, gypsy caravans, Buckminster Fuller’s Dymaxion car, to homemade billy-carts and shopping trolleys of the homeless. Bird’s process differs significantly from that of Make Architecture. Rather than working from a brief or response to a site, Bird builds a repository of project related trigger words and images typically sourced from Google images. I pursue “new” by asking seemingly illogical “what-if” questions, combining disparate disciplines, elaborative paradoxes and arrive at charged spatial constructs that I hope offer a profound experiences for clients and audiences. Roland Snooks is an architect at the forefront of the intersection of “advanced architecture” - architecture that uses computational processes and digital fabrication such as 3D printing as its driving force. His work combines algorithmic design experiments and advanced fabrication technologies such as robotic production. Working across the principles of complex self-organising behaviours found in biological, social and material systems, Snooks’ architecture explores advanced aesthetic and compositional relations. 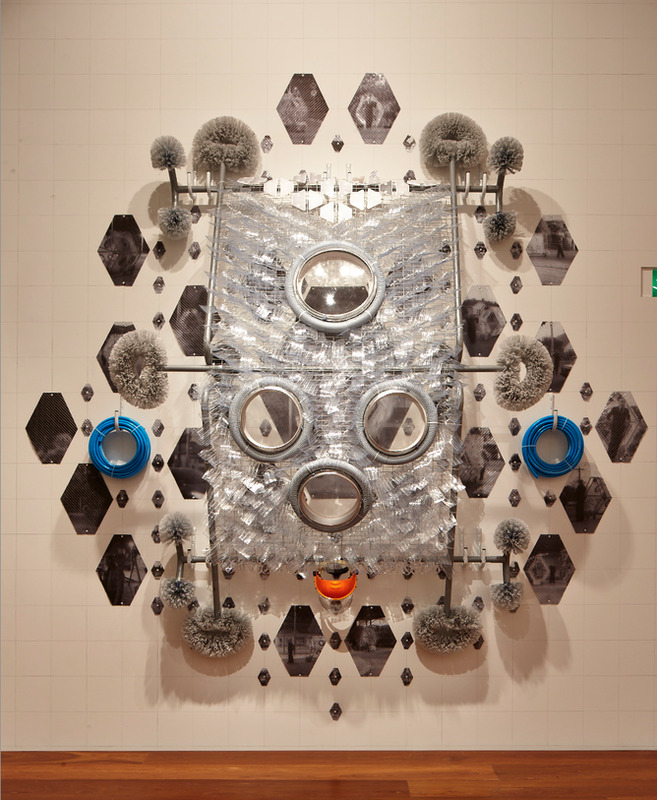 In Sampling The City, Snooks presents a series of prototypes fabricated by experimental robotic techniques. The forms cut from high-density foam are able to become formwork for pouring concrete into exotic but structurally optimised building elements. start[ing] either from a continuing line of research or it can evolve out of the client’s brief … our work can be seen as part of an international group that is exploring processes of formation from complex systems. Through their installations, these practices convey very different perspectives on the making of architecture, revealing their position through the unfolding of a set of ideas that, in turn, drive the architectural process. They convey the diversity and richness of architectural culture in Melbourne and the contribution of architectural practice to the cultural economy of the city. Sampling The City, Melbourne Now, runs at the National Gallery of Victoria until March 23. Fleur Watson does not work for, consult to, own shares in or receive funding from any company or organisation that would benefit from this article, and has no relevant affiliations.